Very fun costume. The quality was better than I expected. I was pretty stunned at the quality of this garment. It's not just a costume, it's a real sweater and real cap. 100% acrylic, and a little itchy, but the seams and piping are on par with a sweater you'd buy at a clothing store. It's a littler smaller than I expected. I bought an XL, but I'm 6'3" with a 44" chest and the labeling said that an XL was made for a person of about 6ft. I used a cool iron to relax the fabric and broaden the chest, and it fit just fine. It was loose enough to not make me feel constrained, but not blousey or boxy around waist. I washed (machine washed on gentle cycle, flat dry) the sweater anticipating the colors to bleed, but it didn't. Overall, I'm very impressed. This will be my costume next year, too! 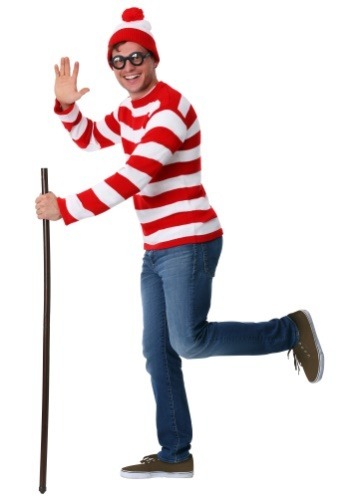 Nice costume, but what impressed me was the quick shipping. Ordered it on a Monday in Oslo, Norway and had it delivered on my door on Thursday! Amazing. 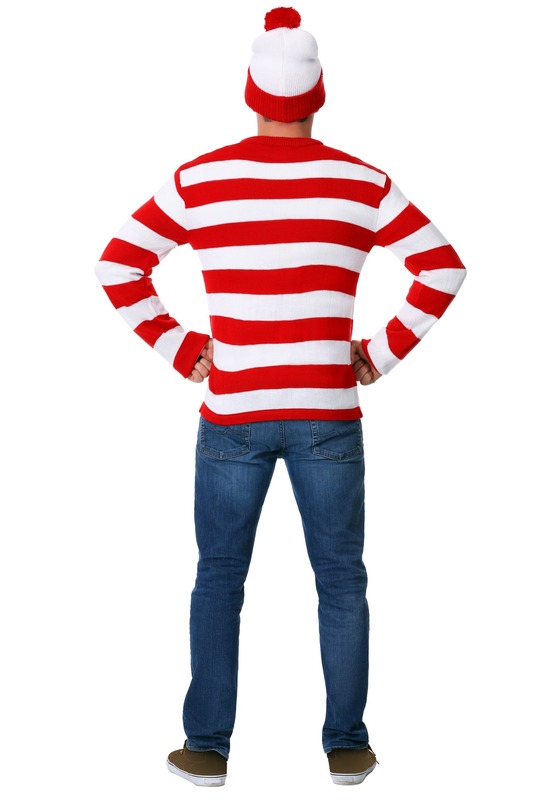 At first I wasn't sure if to purchase this one or the other Where's Waldo costume on this site. Flipped a coin and made the decision. So glad I picked this one.